Modern design is all about clean lines, high quality materials and a strictly limited colour palette. Within these minimalist spaces, a staircase can overwhelm the rest of the room, so choosing the right design is crucial. To give you a helping hand, we’ve drawn together some of our favourite modern staircase ideas. Solid timbers and exposed metals a key look for minimalist design. 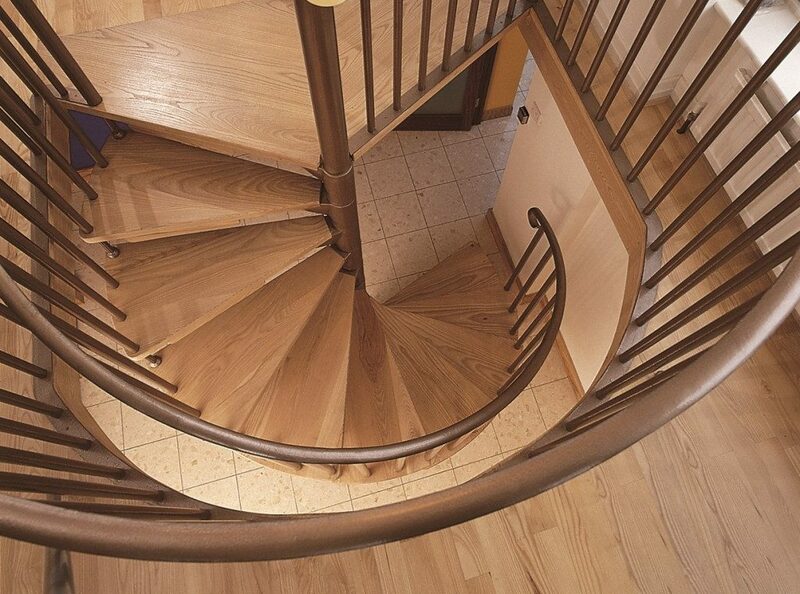 That’s probably why our Scandinavian spiral staircase range is such a popular choice for modern properties. Each of these contemporary staircases feature solid wood treads set on a cast aluminium which slides over a metal centre pole.. There is a large choice of cast aluminium, steel or wrought iron balusters that can be finished with either a metal or wood handrail. 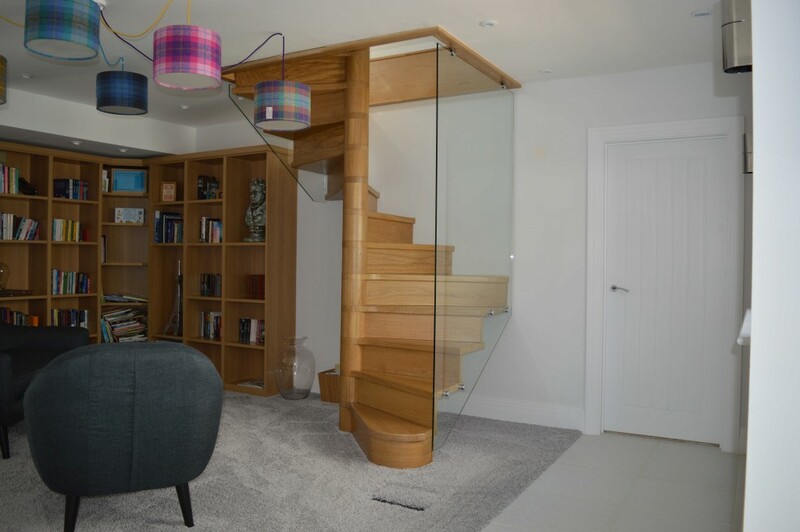 Every element of the staircase can be customised to your exact specifications. This includes the width of tread, the finish of the metal (we offer a range of powder coated finishes) and even the choice of riser bar. Of course, how the staircase interacts with the space is just as important as the rest of the design. All our Scandinavian staircases are available with a recess in the landing plate, allowing for a seamless join between the nose of the landing plate and the rest of your flooring. Squarial staircases are another favourite for modern-style properties. The treads can be cut to the dimensions of the available space. This creates the illusion that they’re running into the wall and means they can be fitted in tight spaces without becoming cramped. The tight join with the wall also means there’s often no need for balustrading and gives you the option to use glass panelling to close off any open sides. 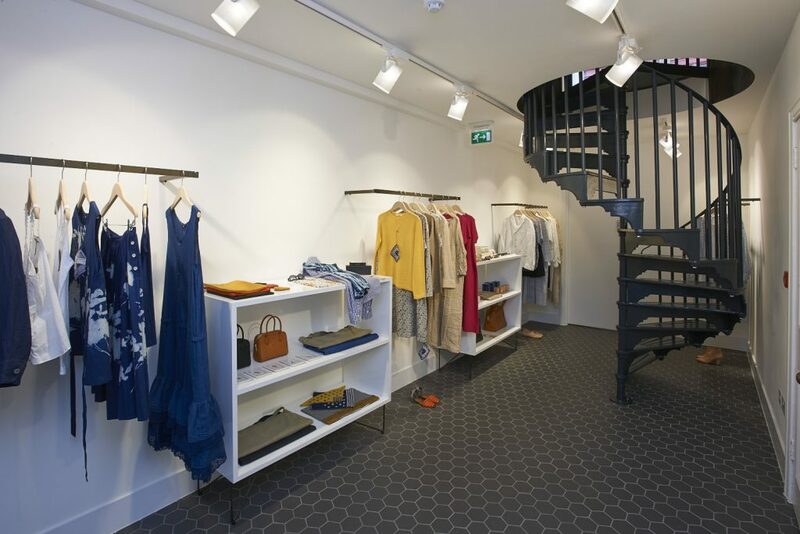 Cast aluminium staircases can also provide a functional, yet striking, addition to contemporary spaces. Our aluminium spiral staircases are all hand cast at our foundry near Stoke, so you can be assured they are produced to the highest standards. We offer a number of clean, industrial style design options including LCC, Diamond and Modern Art Deco. These can be paired with simple square or round spindles and powder coated black, white or any other colour you want. Hopefully you’ll now have a clearer idea of the type of staircase you’d like, however, the devil is in the detail. We pride ourselves on delivering staircases which are perfectly customised to your specific needs. Our online quote system will help guide you through some of the choices and measurements you need. If you have any further questions, don’t hesitate to get in touch either via email, phone or by dropping in at our showroom.